Wayfair.com is growing rapidly and we're looking for people who are excited to help us grow our distributed systems platforms. As a member of the Distributed Systems team you will be empowered to design solutions to hard problems that help accelerate development, taking ownership of mission critical infrastructure, driving adoption of new technologies and tools, and architecting scalable systems, both on-premises and in the cloud, serving our customers and engineers alike. With this team’s broad reach, you will have the opportunity to touch multiple systems and code bases, work with cutting-edge technologies, and contribute to our architectural vision. 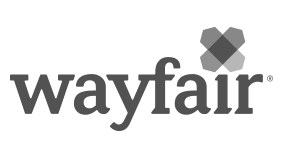 Wayfair's continued success and our continuous deployment model means that things are always changing, and we're looking to find the right person to help optimize our platforms to support that growth. Develops both software and systems solutions utilizing a number of technologies (Python, Java, C++, SQL, Hadoop, Elasticsearch, Graphite, StatsD).